Robe celebrates its 25th anniversary this year and is extremely proud to be attending Prolight+Sound 2019 as one of the market leading brands.The high-profile stand – Hall 12 Booth D10 – will reflect this exciting journey. 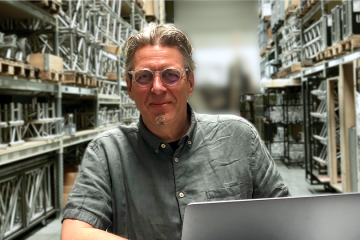 There will be another spectacular and unique live show, which will feature the concluding chapter in Robe’s “Lost Worlds” trilogy, which began in London at PLASA 2018. 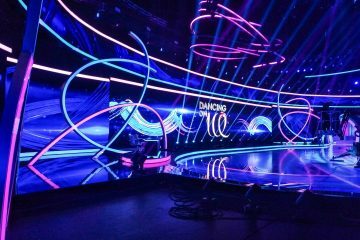 The show will play every hour on the hour and the accompanying lighting design will be utilising products from all the latest Robe product ranges. Robe uses the strategic importance of the expo and its cosmopolitan international visitor base to highlight several important new products. The revolutionary new MSL™ (Multi-Spectral Light) LED light source is impressively bright, yet the T1 Profile is full of theatrical subtlety. With CMY color control, a radical new custom colour creation system and wide ranging CCT control from 2700K to 8000K, all variations of colour are possible! A closed optical system prevents dust and dirt, and the precise needs of theatrical dimming are catered for with Robe’s ultra-smooth 18-bit dimming system, while the high CRI provides the natural and harmonious skin tones so fundamental to theatre and television / film applications. The plus / minus green channel and Cpulse™ flicker-free management are other strong features for TV, movies, video shoots and other camera / vision systems applications. All this is combined with accurate framing shutters, a dynamic focus-tracking zoom, variable frosts, bespoke breakup and aerial gobos, animation wheel and prism, offering total control for finessing and fine-tuning the most demanding of designs for theatre, television and touring. 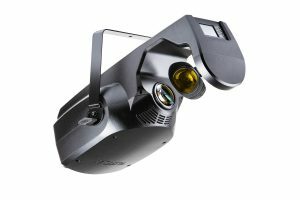 The T1 Profile FollowSpot has a digital camera on the head and can be connected to the RoboSpot BaseStation as part of Robe’s popular remote follow spotting system which is perfect for use in theatres, TV studios, concert halls, auditoriums and other assorted venues. 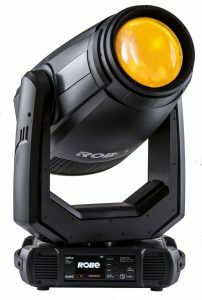 The T1 Wash is the latest fixture in Robe’s amazing T1 LED series of products specifically designed for theatre, television and touring. Robe’s revolutionary MSL™ (Multi-Spectral Light) LED engine is right at the heart of the T1 Wash, providing an impressive output of 10,000 lumens. 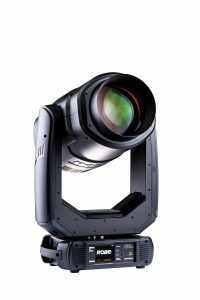 Using either the fresnel or PC lenses, the T1 Wash delivers the specific type of light output required by theatres and television studios. Like its T1 Profile and T1 FS counterparts, a closed optical system prevents dust and dirt. CMY colour control and DataSwatch™ filters include a selection of pre-programmed colours accessible via the next generation RCC™ (Robe Colour Calibration) algorithm, and wide ranging 2700K to 8000K CCT control ensure that all variations of colour are possible. The precise needs of theatrical dimming are addressed via the new L3™Low Light Linearity dimming system which takes ‘smoothness’ to new levels of delicacy and refinement. The high CRI of 90+ provides the excellent natural skin tones required for performance and broadcast scenarios. The SuperSpikie was launched at PLASA 2018 and has already been trailblazing… Bigger, brighter and bolder, the SuperSpikie takes the single beam light look to new heights! It is four times brighter than the original Spikie – launched in 2016 – and with the addition of aerial rotating gobos, it becomes a neat little effects machine with even more looks to blast through its substantial high quality 165mm front lens. The zoom is wider, going from a tight 3.5° beam to a nice soft wash at 42° and the CMY or RGBW colour mix options both offer a rich array of shades and hues. 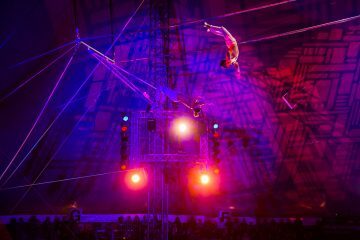 In a fraction of a second the SuperSpikie can change from a razor-sharp beam to a fabulous rich wash light producing a single shadow light output – vital for TV and theatre productions. 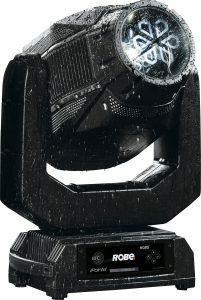 A range of in-air effects using different combinations of the aerial gobos, prism or flower effect feature make it a versatile stage, set or studio luminaire which can be mounted in any position, while the fast and continuous 360°pan and tilt rotation adds yet another dimension for all to enjoy. This proven technology – originally developed to protect eyeglasses that are cleaned daily or car headlights from UV radiation, scratches and cracks from road debris – is customized and patented specifically for entertainment needs. It brings countless other benefits including longer intervals between cleaning, bright and clear lenses, no scratches or marks, and higher light output. Eminere 1, 2, 3 & 4 This is a new linear range of LED fixtures for architectural and entertainment use designed for a wide range of exterior and interior applications. Assorted lens options cover all possible uses from flood lighting to wall grazing, wall washing to accent lighting. Robe’s unique 18-bit colour mixing resolution ensures extra fine colour tuning as well as smooth dimming at low level intensity. The fixtures are IP 67 rated and can withstand extreme weather conditions. Available in 1, 2, 3, and 4 ft. sizes (300 / 600 / 900 / 1200 mm respectively) with RGBW single chips as standard, the Emineres are very easy to control, 1 pixel per foot. These fixtures are great for both permanent and temporary installations, including multiple architectural and architainment scenarios like indoor and outdoor lighting of commercial buildings, hotels and offices in addition to historic buildings, assorted venues, plus events, festivals and concerts. Combining its high output, refined colour mixing and excellent quality of light, Divine 72 is a luminaire designed to unleash creative potential across architectural, commercial, industrial, artistic and entertainment installation applications. The Divine 72 is powered by 72 high powered single-chip LEDs – RGBW – giving a near infinite range of colours and hues and an authentic clean, crisp warm white light at 7200K with a CRI of 70.